Riccardo Michi comes from a restaurant Family in Milan established since 1943 called Girarrosto, one of the first Tuscan restaurants in town and still operating. After moving to the US, Riccardo opened Sonny Bono, IL Giardino Ristorante and Madeo Ristorante in Beverly Hills. In 1987 he helped his cousin Roberto Ruggeri open the first Bice restaurant in New York City. Since then, he has worked in the opening of many of the restaurants in the group. In 2002 Riccardo moved to Chicago with his wife Veronica to be the executive chef of Bice on Ontario. Finally Riccardo and Veronica, also a chef, decided to open their own place and in 2006 called Riccardo Trattoria. Considered by many to be the top Italian restaurant in town, receiving the Bib Gourmand from Michelin in 2011, 2012 and 2013. 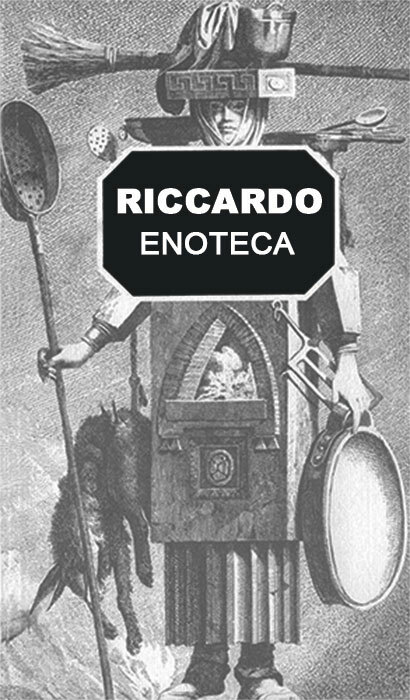 Now, Riccardo and Veronica have opened a classic Italian wine bar, called Riccardo Enoteca, right across the street from Riccardo Trattoria on Clark. Please come to join us to experience specialities from our unique Tuscan wood burning oven and experience the essence of the casual italian lifestyle.